Lauren Eirk, M.S., Founder of the Yoga I.S. ® Wellness Studio in Louisville and is a certified E-RYT 500 level Yoga Instructor with over 35 years of teaching and presenting experience. A Yoga Alliance ® Continuing Education Provider (YACEP) and the developer of the 500 hour Registered Hatha Yoga School Yoga Integrated Science™. 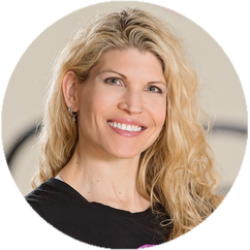 Lauren is a Certified Yoga Therapist C-IAYT a certified MATRx Full Body Specialist with Muscle Activation Techniques,™ and Body Bar® Instructor.